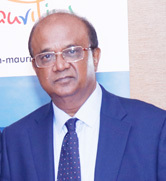 Vijaye Haulder, Deputy Director of Mauritius Tourism speaks exclusively with Travel And Tour World during the roadshow held in Kolkata organised by the Mauritius Tourism Promotion Authority. He spoke about the eco-friendly beaches, diverse cultures, new connectivity and more.Around 20 Mauritian partners like DMCs, hotels, airlines and attractions participated in the show. Travel And Tour World has a wonderful interaction with Alexey Kalachev, Director, Russian Convention Bureau at ACE of MICE Exhibition. He explains the role of Russian Convention Bureau in promoting the country as best MICE destination in the world. He also shares with us about the future planning to attract more global industry leaders to host international standard meetings and conventions. Jin Hyeok Park, Director of Seoul Convention Bureau (SCB), speaks about a broad spectrum of MICE activities, exclusively with Travel And Tour World, during the sidelines of ACE of MICE at the Istanbul Congress Center. Ali Sinan Inan, Director, Antalya convention Bureau speaks exclusively with Travel And Tour World at the 6th edition of ACE of M.I.C.E 2019, at the Istanbul Congress Centre. Cemil Hakan Kilic, General Manager, Istanbul Convention & Visitors Bureau, speaks exclusively with Travel And Tour World at the 6th edition of ACE of M.I.C.E 2019, at the Istanbul Congress Centre. 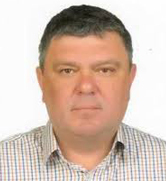 During the sixth edition of ACE of MICE at the Istanbul Congress Center, Travel And Tour World spoke exclusively with Igor Kovacavic, CEO Serbia Convention Bureau. He talks about the growth of the convention center over a period of time maintaining international standards, challenges and more. 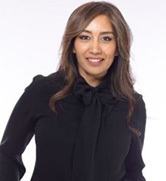 Tahira Endean, Head Of Events, SITE Global exclusively speaks with Travel And Tour World at the 6th edition of ACE of M.I.C.E 2019, at the Istanbul Congress Centre, on several aspects of incentive travel. Apratim Ghoshal, Editor, Travel And Tour World, interacts at AIME 2019 with Matt Pearce, CEO Talk2Media & Events. He highlights how AIME has changed its vision and is focused more on right buyers and exhibitors. Apratim Ghoshal, Editor Travel And Tour World, interacts at AIME 2019 with Juliet Alabaster, General Manager, Business Events, Brisbane Marketing. She highlights how Brisbane emerged as MICE friendly city and the future planning of Brisbane Marketing to project this lively city into highly desirable place to do good business with favourable infrastructure. 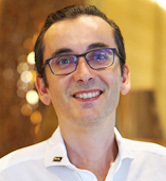 Oriol Montal, General Manager, The Westin Resort Nusa Dua Bali in an exclusive interview with the Travel And Tour World shares some unique insights about the crème de la crème property in Bali, a global leader in wellness and hospitality which serves the business and leisure travellers with equal elan. 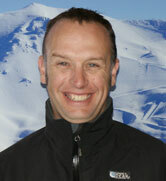 James Urquhart, General Manager Operations Mt Hutt speaks exclusively with Travel And Tour World about what makes Mt. Hutt stay ahead of the curve, their plans and more. 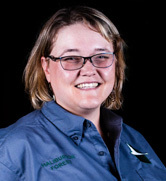 Travel And Tour World engages in a special conversation with Tegan Legge, General Manager, Haliburton Forest & Wildlife Reserve, Canada. Travel And Tour World presents an insightful interaction with Barak Hirschowitz, President, International Luxury Hotel Association (ILHA) who shares his thoughts on futuristic hotel concepts. 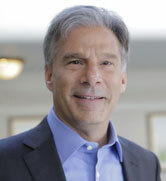 Mr. Hirschowitz is a world leader in hospitality, leading an international network. ILHA is a non-profit organisation that strives to promote growth in hospitality sector. 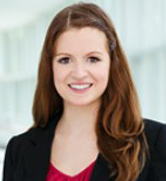 Charleen Ring, Conference Producer of Digital Travel 2018, Worldwide Business Research, in an exclusive interview with Travel And Tour World, predicts how the travel industry will reap benefits from digital transformation, consumer personalisation and simpler process implementation. 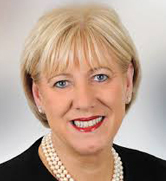 TTW is in an exclusive interaction with Heather Humphreys, an Irish politician, the Minister for Business, Enterprise and Innovation since November 2017. 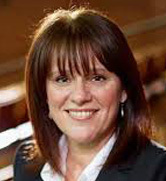 Previously, she has rendered services as Minister for Culture, Heritage and the Gaeltacht from June to November 2017. Ms. Humphreys highlights the cultural significance of Ireland as a cultural nerve-centre. Travel and Tour World gets a sneak peek of ITB China 2018 in an exclusive interview with David Axiotis, General Manager, ITB China . In this interview with Travel And Tour World, Milind Bhide, the founder of Countryside Adventure Holidays has focused deeply on contribution of Countryside Adventure Holidays in showcasing the exotic and offbeat destinations to the tourists. He also shared his views on the future growth of adventure tourism in India and his plans to offer travellers with unique experiences. On the sidelines of Asia – Pacific Meetings and Expo (AIME) Karen Bolinger, CEO of Melbourne Convention Bureau, a dynamic name in the business events industry, speaks on how Melbourne Convention Bureau has brought a city wide economic development with Travel And Tour World. Travel And Tour World is glad to present an interaction with Graeme Barnett, Senior Exhibition Director, IBTM World, Reed Exhibitions. He shares his insight about the AIME Hosted Buyer Program event, AIME’s contribution in promoting the Asia-Pacific region and much more at the prestigious travel event. With the mission to increase travel to and within the United States, The U.S. Travel Association is the national, non-profit organization representing all components of the travel industry of the country. 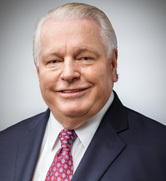 Roger Dow is president and CEO of the U.S. Travel Association. In this issue of Travel And Tour World, we are delighted to share an exclusive interview of his. Read on to know more. 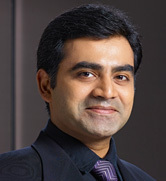 Mr. George M. George is the Executive Director of The Muthoot Group and handles the Leisure & Hospitality Division. The success of Cardamom County (a four-star resort at Thekkady, Kerala) motivated him to build Ayura (an ayurvedic spa at the resort) and River Escapes (10 premier house boats at Alleppey, Kerala). 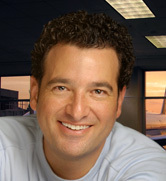 He shares an exclusive conversation with Travel And Tour World. Read here. Andrej Stein, the General Manager of Bhaya Group, overnight cruise operators in the UNESCO World Natural Heritage Site Halong Bay in Vietnam, speaks exclusively to TTW on ways to be more responsible when touring and contribute to the cultural and environmental preservation. 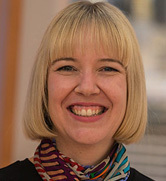 Travel And Tour World is glad to present an interaction with Marta Mills, Stakeholder Engagement and Communications Manager, TransCaucasian Trail Association (TCTA). She highlights the growth strategies of TCTA and about introducing the magic of trekking in the Caucasus ranges. Travel And Tour World conducted an exclusive interview with Shinu Pillai, Exhibition Director, ibtm Arabia which will be held in Abu Dhabi, UAE, from 7 – 9 February, 2017. 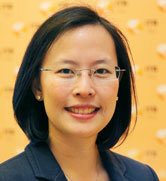 Katrina Leung, Executive Director of Messe Berlin (Singapore), the organiser of ITB Asia shares an insightful interview with Travel And Tour World. Read on. Mr. Sidh N C – Director at QnA International shares an insightful conversation with Travel And Tour World before 4th Annual MICE India & Luxury Travel Congress on the MICE industry. Read on. 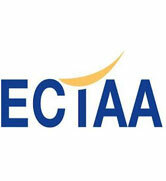 ECTAA is the Group of national travel agents’ and tour operators’ associations within the EU. founded in 1961 at Bad Kreuznach (Federal Republic of Germany) by the national associations of travel agents and tour operators, ECTAA now represents the national associations of travel agents and tour operators of 27 EU Member States, of 2 EU accession countries as well Switzerland and Norway, and 3 international Members. 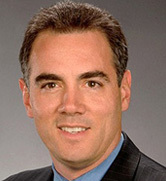 Mark Speranza has more than 20 year’s expertise in hospitality in the NYC area. 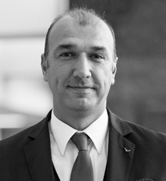 He has recently joined The William Vale as Director of Sales and Marketing helping the hotel to revive its strategies for better returns. Mr. Edmund Bartlett has been recently elected as chairman of the United Nations World Tourism Organisation’s (UNWTO)’s executive Council for affiliates. We shared a conversation with him on his contributions in the travel and tourism industry. The National Railroad Passenger Corporation, Amtrak, is a corporation striving to deliver a high quality, safe, on-time rail passenger service that exceeds customer expectations. 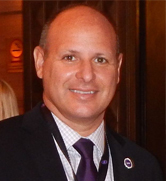 Robert Friedman, Vice President, Brand Management and Marketing in an exclusive conversation with Travel And Tour World speaks about the new age developments in Amtrak. 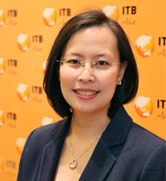 As the world travel industry starts to shift its focus on Singapore, Travel And Tour World speaks to Ms. Katrina Leung, the Executive Director of Messe Berlin (Singapore), the organisers of ITB Asia, regarding various aspects of the event and the Asia Pacific travel market. In a candid conversation with Travel And Tour World, Mr. Nick Pilbeam, the newly appointed Travel Divisional Director of Reed Travel Exhibitions shares some of his valuable experiences while working in the global travel events industry for a considerable period. An interview with Nick Waight, the Managing Director of Group Convention Centres overseeing the ICC and Chief Executive of Dublin Convention Centre. He offers strategic consultancy to other convention centre projects. Nick has many roles which he performs to perfection and makes his own contribution in the MICE tourism Industry of Ireland largely felt. •	The Hon’ble Parliamentary Secretary of Tourism ‘Shri D. N. Sherpa’, Govt. of Sikkim. 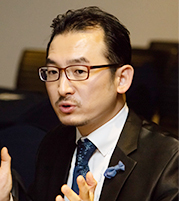 An interview with Mike Lee, the Vice President of Sales for Marina Bay Sands. 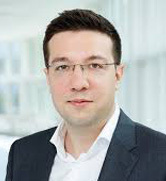 Enhancing aspects of MICE, Business and Leisure Tourism and special focus on revenue responsibility, he joined Marina Bay Sands in November 2010. With over 35 years of hotel marketing, sales and developmental experience, he has set dynamic standards in the hotel industry. Travel And Tour World shares an exclusive interview with Tim Jacox, executive vice president of sales and marketing, Un-Cruise Adventures. Mr. Jacox highlights some of the impressive, upcoming cruise trends and itineraries. EIBTM, is all set to open its doors in November (18th to 20th) in Barcelona, Spain. 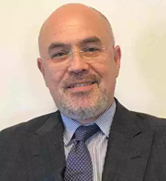 Being one of the official media partners of EIBTM, Travel And Tour World shares a candid conversation with Mr. Graeme Barnett, Senior Exhibition Director, Reed Travel Exhibitions, EIBTM. Mrs. Francesca Nina Soemitro, Director of Market Development Ministry of Tourism and Creative Economy, Indonesia has wide experience in regional and multilateral tourism. Travel And Tour World shares an exclusive interview with Mrs. Soemitro on how Indonesia plans to make a global difference. 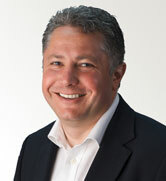 Al Tareq Al Ameri is Chief Executive Officer of Yas Marina Circuit in Abu Dhabi. Al Ameri was responsible in developing the iconic Yas Marina into a community hub as well as a venue for significant global gatherings. Travel And Tour World shares an exclusive interview of Al Tareq Al Ameri on tourism in the Yas Marina Circuit. Taleb Rifai served as the Deputy Secretary-General of the World Tourism Organization (UNWTO) from February 2006 to February 2009. 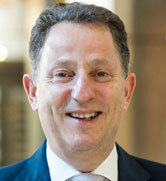 After which he took over the role of UNWTO’s Secretary-General as interim on 1 March 2009. He shares his views on an exclusive interview with Travel And Tour World. 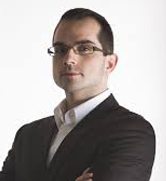 One of the pioneering travel technology provider mtrip’s CEO FREDERIC DE PARDIEU shares some amazing information regarding their apps that are extremely utilitarian for tech savvy travelers, in an exclusive interview with Travel And Tour World. mtrip Travel Guides ensures superb aid to make your travel experience hassle-free and relaxed. 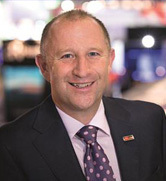 Mark Walsh, Portfolio Director of Reed Travel Exhibition, in an interview with Travel and Tour World has mentioned some of the unique events that ATM is going to showcase for the first time. He is further hopeful and says luxury is clearly a trend that will command increased attention not only this time at ATM but also in years to come. Viator, the best app as it vouches to be in booking and locating best tours and activities have come a long way since its inception. They have made their unique services available through the Viator tours & Activities app for both the Android and IOS users. In an interview with Ms. Barrie Seidenberg – President and CEO, Viator, she said that the success behind the development of Viator is their dedication towards the tour and activities sector. Read the exclusive interview to know more. In an exclusive interview, Dr. Michael Kerkloh, CEO of Munich Airport talks about the success story of Munich Airport and why it still continues to be a firm favourite among passengers. Adrienne Clarke, Head of Conference Sales of The Convention Centre Dublin speaks about the features and facilities of The CCD. 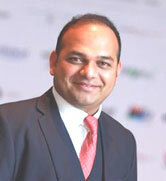 Travel and Tour World had the pleasure of speaking to Mr Sawhney, MD, Abacus India. His experience and understanding of the Indian travel market and his visions of positioning travel technology in the market is inspiring. With a 20 years experience in the travel market Sawhney will definitely set commendable standards for Abacus in India. Sanjay Reddy, Managing Director of Kempegowda International Airport, Bangalore, in an exclusive interview with Travel And Tour World talks about the importance of Kempegowda Airport in India’s aviation sector. Read the interview to know more! This International Women’s Day, Travel And Tour World celebrates the contributions of women in framing prosperous civilizations worldwide, sharing an exclusive interview with Mrs. Ratna Chadha, Chief Executive, TIRUN Travel Marketing, India Representative: Royal Caribbean Cruises Ltd. Let’s focus on her views and opinions regarding cruise industry trends worldwide. In an interview with Ms. Jenny Herbison, Director of Mobile at Skyscanner, shared her views and experience working with Skyscanner. She gave a detailed understanding and advantages of the app which offer users an easy way to compare travel options and book a trip no matter where they are, on the go. TTW had the pleasure interviewing Dr Ahmad Belhoul, CEO of Strategy and Tourism Sector Development, Dubai’s Department of Tourism and Commerce Marketing (DTCM). He shared valuable facts behind the development of Dubai tourism. Read the full interview to know more! Travel and Tour World had the pleasure of interviewing Michael Stief, Media Spokesperson of Zurich Airport. Speaking to TTW, he revealed how Zurich Airport is contributing to the Swiss economy and tourism. Read the interview to know more! Travel and Tour world found the opportunity to interview Mr. Eric Van Piggelen, Chief Executive Officer BCCK. 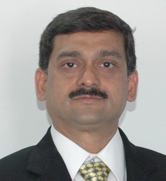 He has recently taken his responsibilities as CEO of BCCK from January 1, 2014. He joined BCCK in 2011 as Director of Operations. With an experience of over 20 years in the travel industry, Mr. Piggelen’s has made some interesting observation about the MICE industry, the BCCK and the global travel market. VIA Rail operates almost 500 trains weekly on 12,500 kilometres of track, and serves 450 communities across the country, from coast to coast and north to Hudson Bay. 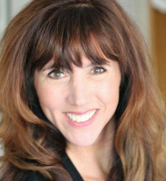 In a candid chat with Travel and Tour world, Sylvie Bourget, Chief Marketing & Sales Officer Via Rail Canada talks about VIA Rail’s success story and why it is still considered as Canada’s best railway. 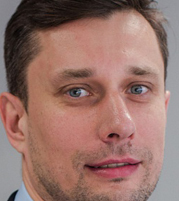 Konstantin Zeuke, General Manager, Kempinski Hotel Mall of the Emirates in an exclusive interview with TTW said that the group strongly believes in social media and has a loyal following across our social media platforms including Facebook, Twitter and Instagram. 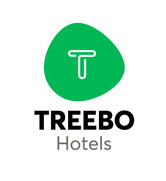 Further he added that the quality service they provide is recognized as one of the best in hotel industry. In an exclusive interview with Travel and Tour World, Marco Saxer, General Manager of Swissotel, Kolkata reveals the success story of the most modern European 5 star property in Kolkata and how it is promoting the concept of luxury tourism in India. 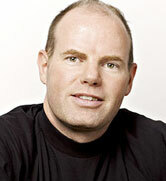 TTW had the pleasure interviewing Nils Haupt, Director of corporate communications. 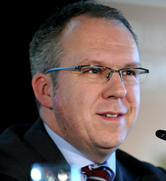 He gave a detailed analysis of the growth of Lufthansa group in the year2013 and the success story of new Germanwings. TTW had the pleasure to interview Tourism Secretary of India, Mr. Parvez Dewan at International Travel Mart in Tawang, Arunachal Pradesh. He shared his view on the event and said that this is an initiative both by the North East State tourism and union to boost tourism of the region. TTW had the pleasure to interview Secretary of ATTOI and CEO, The Travel Planners Mr. Anish Kumar on the development of Indian travel and tourism. He has given an insight on the rising scope of hospitality and wellness tourism in India. The Chairman – STIC Travel Group & President – Indian Association of Tour Operators (IATO), Mr. Subhash Goyal highlights the recent trends of Indian tourism in an exclusively with TTW. He sheds light on tourism that follows proper Corporate Social Responsibility and extends a sustainable tourism to the travellers. In an exclusive interview with TTW, Tom Jenkins, Executive Director of ETOA says about the tourism trend and developments of Europe tourism. Etihad’s success in the global aviation industry is staggering. Recently, Etihad Airways CEO James Hogan was recognized for his “outstanding strategic thinking and leadership” at World Travel Awards. In an exclusive interview with TTW, James Hogan talks about the reason behind the carrier’s success, future plans and much more! Dining while travelling is common and enjoying a lip smacking palate is considered as important as sightseeing while travelling. Revisiting the destinations for enjoying tested recipes and delving into culinary adventures have made gastronomy a unique part of the tourism experience. In an exclusive interview with Travel and Tour World, Erik Wolf, Executive Director & Founder at World FoodTravel Association has said speaks on the staggering rise of food tourism globally. 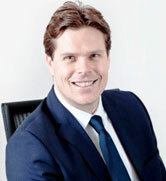 TTW interviewed Mr. Markus Muller, Vice President Sales and Marketing Asia Moevenpick Hotels and Resorts on the growing trends of luxury tourism. He gave an insight on making tourism more sustainable. Ms. Stephanie Chow, Executive Assistant Manager of the Sheraton Huzhou Hot Spring Resort shared her thoughts with us about her brilliantly designed hotel and how the hotel blends with the Chinese heritage and culture. Being extremely modern it is a gateway to new hotel architecture. Tourism happens to be one of the most lucrative businesses that has contributed to every nations’ economy. But simultaneously, there have been some impediments that have tried to mar the essence of travelling. Sexual harassment and child exploitation still prevails in tourism industry though measures are being taken to curb such heinous crimes. In an exclusive interview with Travel and Tour World, Ms. Patchareeboon Sakulpitakphon, the Project Manager for The Code shares the initiatives taken the narrates the global scenario of tourism today. 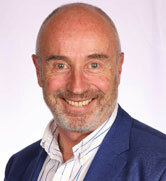 Graeme Barnett, EIBTM Exhibition Director, answers TTW focusing on the major aspects of the travel event. Shades of sustainability campaign along with other travel industry events shared in the interview. Our correspondent recently had a great opportunity in Arabian Travel Market, to have an exclusive face-to-face conversation with Makiko Matsuda Healy, Vice President, Tourism Development, NYC & Company. She talks about New York as a MICE destination, the incentives the traveler should look forward to and much more. Spearheading CIBTM and ornamenting a dream in China and its related business destinations, Felicity Page, Reed Travel Exhibitions, CIBTM International Marketing Manager, speaks about the future of trade tourism in Hong Kong in terms of smart and effective meeting features and the prospects of business and commerce related to this spontaneously growing industry. Spearheading ATTA and enhancing a dream with a surfboard in one hand and a briefcase in the other, President of Adventure Travel Trade Association, Mr. Stowell, speaks about the future of International tourism in terms of Adventure and exciting voyages and the prospects of business and trade related to this spontaneously growing industry. 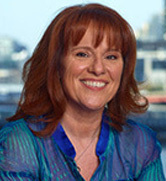 Our correspondent recently had the opportunity to interview Karen Bolinger, the Chief Executive Officer of Melbourne Convention Bureau, at AIME, Melbourne in Australia. One of the most dynamic dignitaries out there, Karen talks about the implemented strategies of the Bureau, growing trend of Social Media, importance of face-to-face meetings and much more. In a candid conversation with Travel and Tour World, Ms. Lois Hall, Exhibition Director of GIBTM, speaks about her experiences and expectations from the tourism industry. AIBTM brings together the world’s meetings, incentive, business and corporate planners for three days of focused business. This year’s AIBTM America Meetings Week will be taking place from June 19th – June 21st and will deliver a fantastic range of unparalleled learning and thought provoking education, exciting networking opportunities and offer powerful business connections for attendees of the show. 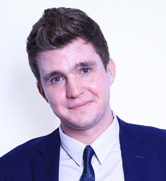 In an exclusive interview with TTW, Craig Moyes, Portfolio Director, AIBTM Global Events Portfolio Reed Travel Exhibitions talks about the event and its prospects. The Global Business Travel Association (GBTA), the voice of the global business travel industry has over 5,000-plus members and manages over $340 billion of global business travel and meetings expenditures annually. Travel and Tour World (TTW) had an exclusive interview with Michael W. McCormick, Executive Director and COO of GBTA regarding its global role, recent venture and travel issues. In an exclusive conversation with TTW, American Hospitality and Lodging Association President, Joe Mclnerney, talks about current American travel industry, the association, its future plans and much more. Travel and Tour World (TTW) had an exclusive conversation with Nino Gruettke, Executive Director – ITB Asia as he unveils the success story of the ITB Asia 2012. Established in 1982 and the National apex body of the tourism industry, Indian Association of Tour Operators (IATO) today has international acceptance, and linkages. The President, Mr. Subhash Goyal interacts exclusively with us and sheds light on the current situation of the India Tourism Industry and how they are helping to showcase it on the international platform and more. 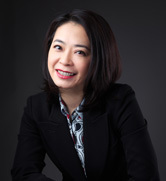 In an exclusive interview with Travel and Tour World, Ms. Kazuko Toda, Director, Convention Marketing Department of Tokyo Convention & Visitors Bureau (TCVB) reveals Tokyo’s success story as an all-round destination and TCVB’s role in promoting the city as a major tourist and business hub of Asia. Here is a candid conversation with the COO of Messe Berlin, Dr. Christian Göke, where he talks about technological advancements in the industry, power of online media, ITB Berlin, future prospects and much more. Baltimore has experienced exciting growth in its tourism sector over the past year, buoyed by a slew of events. The focal point of conventions and events, the city of Baltimore is poised to host a string of enticing events in the year 2013. In an exclusive tete-a-tete with Travel and Tour World, Mr. Tom Noonan, President and CEO, Visit Baltimore, talks about Baltimore’s meteoric rise in the tourism industry, its future plans, the newly launched virtual tour plan, his close association with VisitBaltimore and lots more! As the convention day of the ITB Berlin awaits an inaugural ceremony, Travel and Tour World is sincerely looking forward to more business ideas and association with ITB Berlin, one of the most renowned tourism conventions of the global travel industry. We are exceedingly happy to feature an exclusive interview with Mr. David Ruetz in our digital magazine. The ITB convention is featured as one of the highlight events in our February issue. 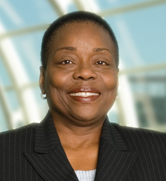 Leading the San Diego Convention Centre for almost over 20 years now, Carol Wallace, CEO & President of San Diego Convention Centre, speaks her heart in an exclusive interview with us. 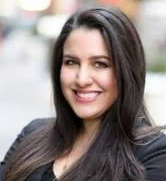 She talks about her journey in the industry, the power of social media, San Diego as a business destination and what future holds for the convention centre. Adventure Travel Trade Association (ATTA), a global membership organization is home to a thriving community of more than 700 responsible, profitable businesses, destinations and media who transform customers and businesses alike into advocates for sustainability and justice worldwide. The members include tour operators, destination marketing organizations, tourism boards, specialty travel agents, guides, accommodations, media and service providers. ATTA brings to its members opportunities that drive new customers, lower costs and increase returns on investment. In an exclusive interview with TTW, Chris Doyle the Executive Director-Europe of Adventure Travel Trade Association talks about the future goals and prospects of the organization.